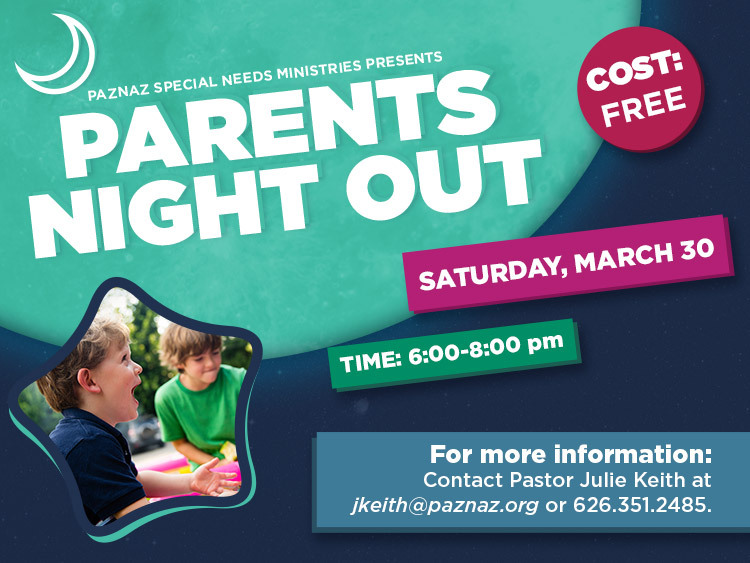 All special needs parents are invited to a free night out! Come for a time of food, fun, and laughter on Saturday, March 30, from 6:00-8:00 pm in Gilmore Hall. Special Needs childcare for kids of all ages is available with reservation. Contact Pastor Julie Keith for more information at jkeith@paznaz.org or 626.351.2485.